It was that same night, after the release of the Tour DVD, after playing sand volleyball, and after all of our friends ditched us to go watch the Spurs game, that Kelsey and I took a fun little journey to Wally World. We walked straight to the back where all the electronics are located, walked straight to the movies and CD’s and searched and searched for One Direction. We even asked the employee if he knew where the DVD was, but unfortunately he had no clue. Shortly after that, I caught a glimps of One D. Went straight for it and sure enough there was the Up All Night One Direciton CD located in the wrong spot. But guess what was also located in the wrong spot. The exact thing we were looking for, the thing we came to Wal-Mart for in the first place, the Up All Night Tour DVD!!!! 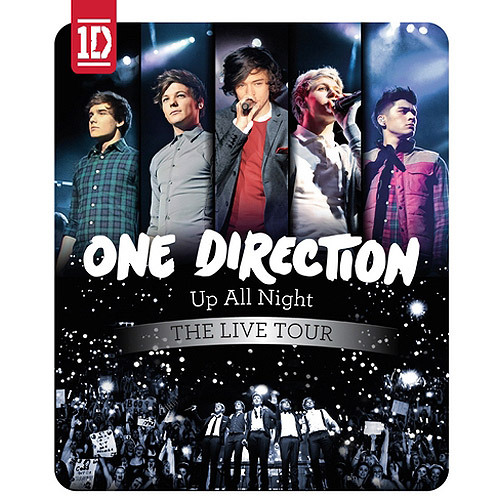 The DVD the boys pressed play to just hours before. Man oh man were we excited. I purchased the CD and Kelsey purchased the tour DVD. It was almost midnight, but Kelsey and I journeyed back to my house to sit back and watch it. Well, we didn’t really “sit back” we kind of acted like we were actually there in the auditorium watching them live. It was really exciting. 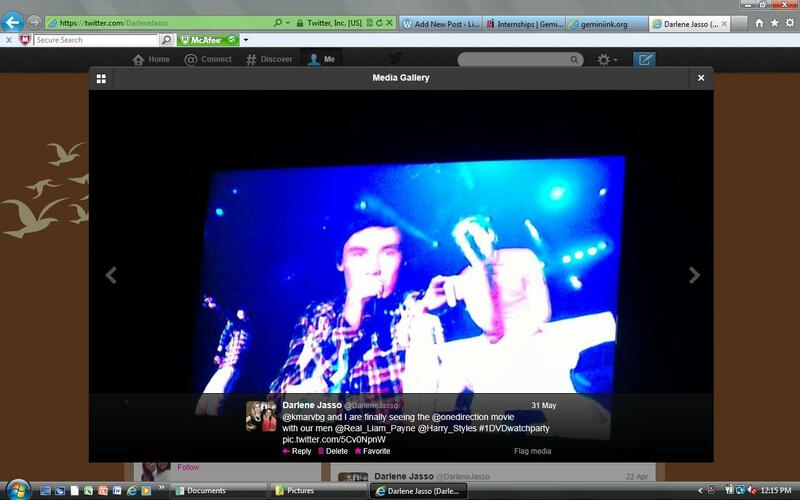 As we watched, we actually didn’t know any of their songs… Besides WMYB. I remember sitting in awe watching them on my TV screen. Kelsey kept saying, “Omg there’s my Liam singing first again, how perfect!” Because he sang the first lines in almost every song. We were acting really crazy, but didn’t care! My little sister, Erica, who was 14 at the time, was just chilling in the background laughing at how ridiculous these two young adults were acting.